When asking any woman about her wedding day, the image she will already probably have in her mind is of herself in her wedding dress. Above flowers, venue or food it is safe to say it is the defining image of anyone’s wedding. So, asking you to perhaps reconsider your views is a little tough, I know – but if you are looking to try and save a few Rand, it is a good place to start. As you’ve no doubt realized in your wedding planning process – mentioning the word “wedding” to any service provider instantly doubles (or triples) the price. Now, imagine going into a bridal store, where all they do is weddings. Do you think that dress with the corset and 17 layers of tulle is really worth what they’re asking, or are they asking that price because they know you’re likely to pay it? This is my most important word of advice – and perhaps the part that will stand to save you the most money. Many boutique stores / general dress stores will sell white or off white dresses. 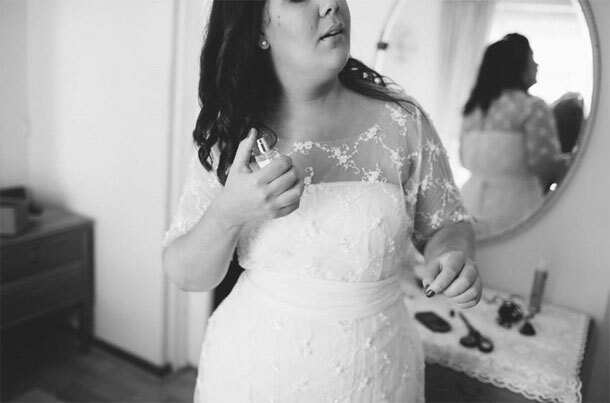 Go with an open mind, with a view to have it altered / added on to – you could walk away with a basic dress for under R1000 that only needs a few alternations – think bits of lace, a few layers of tulle or beading. This is exactly what I did. Intuitively, hiring automatically seems like the cheaper option – but now, with prices to hire a wedding dress easily reaching R7000 – most of the time you can look at having one made / altered for cheaper. If you have a princess-ballgown two meters in diameter in mind, then this isn’t the most feasible route. But, for most others, finding a dressmaker could be cheaper than buying it off the rack. Ask around your circle of friends for people who have had good experiences with dressmakers and for recommendations. Im not the most creative of people so I stuck with having a dress made but I agree, any wedding shop / boutique is going to triple prices just because it can. I had a designer student make my dress and I had her start months before the wedding so that I could alter and change it up a few times. In all that time, it cost me less than the store price!